The groundhog called it: Spring is just around the corner. And South Burlington's Healthy Living Market & Café is gearing up for the 2019 growing season with ... plans to open yet another new store. Even as the natural grocery retailer awaits a Town Meeting Day vote that will shape its upcoming Shelburne expansion, it's pushing forward with plans for an additional store in Williston. The 18,000-square-foot fresh market, deli and café will be situated in Williston's Finney Crossing development, co-owner and general manager Nina Lesser-Goldsmith told Seven Days on Monday. Along with Natural Provisions Market, Shelburne Meat Market at Williston, Shaw's, Hannaford and Walmart, it'll be one of several grocers competing to woo shoppers near the intersection of Routes 2 and 2A. The new store will be a smaller version of the retailer's South Burlington flagship, with an extensive fresh produce section and well-stocked but unstaffed meat and cheese counters. 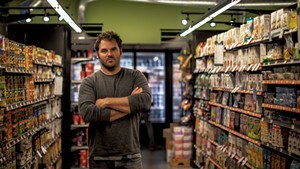 The on-site café will offer made-to-order espresso drinks, juices, smoothies and sandwiches, along with from-scratch grab-and-go items, Lesser-Goldsmith said. The difference? Options will be fewer. "We'll still have a scratch bakeshop," the owner said, "but instead of 25 pastries every day, we'll have 10." Lesser-Goldsmith believes that Healthy Living's prescreened inventory will find a happy market in Williston. "Planting a flag on where we stand on the products we offer is a big differentiator for us," she said. 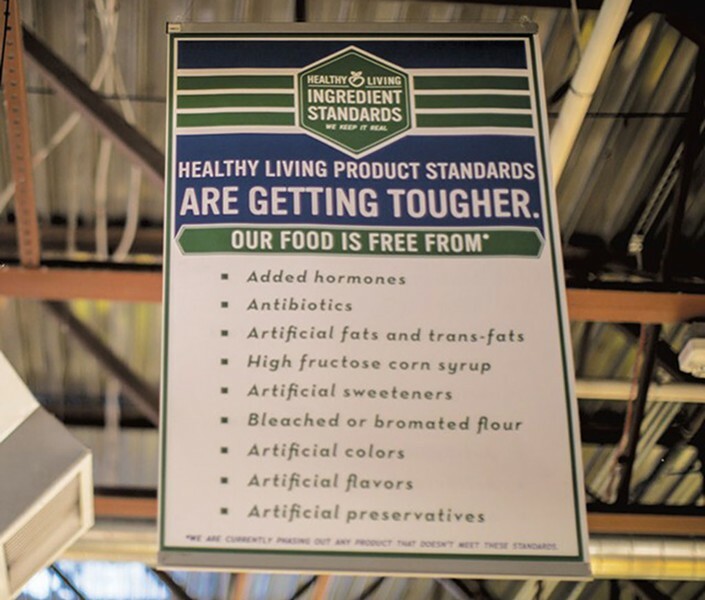 "A big reason people shop with us is that they don't have to read the label; we've already done that for them." The company plans to break ground on the new building this spring, though Lesser-Goldsmith declined to posit a specific store ETA. "I'd hate to overpromise and under-deliver [on an opening date]," she said. Because Finney Crossing's developers have already completed pre-building legwork — zoning, site engineering, permitting — the Williston shop will likely open before its Shelburne counterpart, she added: "A lot of the due diligence has been done already, so we can get started quickly." By contrast, "In Shelburne, we need to start at the very beginning," Lesser-Goldsmith said. But that project is also on firm footing, she maintained, regardless of the town meeting outcome: "A lot of people think that our plans [in Shelburne] are contingent on the fire station vote, but that's not really the case. It's still moving forward, and we still feel confident." The original print version of this article was headlined "Healthy Growth"